Any manner of development can be sustainable only if the waste generated by it is not allowed to accumulate but is fully reused/recycled/recovered. Among the strategies to attain this goal have been the attempts to recover energy from municipal solid waste (MSW). About 60% of MSW is carbonaceous, consisting of materials which can either be biodegraded into fuels like methane or incinerated, thereby generating utilizable energy. MSW also contains several components—like metallic scrap and glass pieces—which can be reused or recycled, thereby achieving energy conservation. Given these attributes, MSW appears to be a potential source of energy and resources. Indeed, this belief that MSW is usable if only we try sincerely enough to do so prompts most of us to keep generating much more MSW than is warranted. But how realizable really is the energy potential of MSW? What perils loom into view when we actually set out to utilize MSW as an energy source? The present study addresses these crucially important questions. The work is based on a critical content analysis of the prior art. The generation of MSW has consistently outpaced the world’s efforts to dispose of it cleanly, and the energy (and material) recovery from MSW is easier said than done. In most instances, what is technically feasible is economically unfeasible. And what is economically feasible—such as setting the waste on fire as is often done in developing countries—is exceedingly harmful to the environment and the human health. Measures such as sanitary landfilling and incineration create as many new problems as the old ones they solve. Moreover, despite the use of these less-than-adequate technologies, a major portion of MSW generated in the world lies untreated. As the MSW output is expected to double by 2025, this situation is only set to become worse. Rising tides of E-waste would compound the problem even further. Hence, enormous stress should be put on the reduction of MSW generation by controlling wanton consumerism and wastage, rather than continuing with it in the false hope that technology will soon provide a magical solution and eliminate the problem. Municipal solid waste (MSW) is the name given to the assorted, basically non-hazardous, biodegradable/non-biodegradable, carbonaceous/non-carbonaceous, and reusable/unusable solid waste that we generate in the course of day-to-day living and regulatory/commercial activities. Solid wastes from households, commerce, trade, office buildings, and the yard, garden and street sweepings come under the gamut of MSW [58, 136]. Construction and demolition debris, sewage sludges, industrial process waste, hazardous hospital waste etc. are excluded . Even though MSW is generated wherever human beings dwell, its quantity and complexity are much higher in urban and suburban situations compared to rural ones [22, 26, 29, 98]. With very rapidly increasing rate of urbanization all over the world and the rapidly growing globalization-fuelled consumerism, urban solid waste generation in developing economies like India and China is rising steeply [51, 59, 124, 163]. Even the periodic spells of economic slowdown, or fall in the rate of population growth, do not seem to reduce the increasing rate of MSW generation in developing countries. For example, despite a 3.8% decrease in economic activity and only 0.8% population growth that occurred in 2015 in Brazil, the total quantity of MSW generated there increased by 1.7% . In terms of their present per capita MSW generation, these countries may be way behind the developed ones (Fig. 1), but due to their much larger populations, the country-wise MSW production there is approaching that of the developed countries. 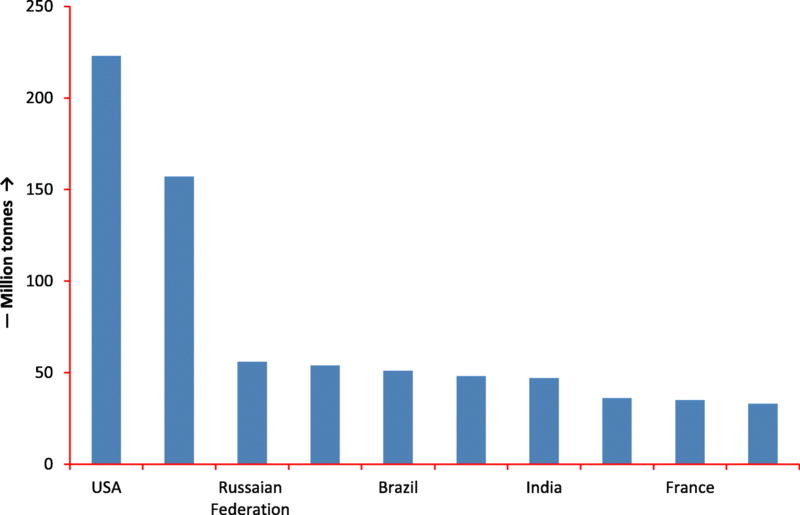 For example, China and India have become the world’s second and the seventh biggest MSW producers [182, 197]. The Russian Federation, Brazil and Mexico are also among the world’s top 10 biggest MSW-generating countries (Fig. 2). Moreover, of the world’s 15 most populous countries, 13 belong to the developing world and 9 of these have population densities 2 times (Mexico) to 36 times (Bangladesh) greater than that of the USA. The two most populous countries of the world—India and China—with their combined population approaching three billion have population densities 13 times and 4 times greater than that of the USA, respectively. All these countries have a lot less land mass, per head, available to assimilate MSW than the USA and several other less densely populated countries. For this reason, and also lack of resources to manage MSW, the problem of MSW disposal is fast acquiring catastrophic proportions in several countries [27, 96, 134]. 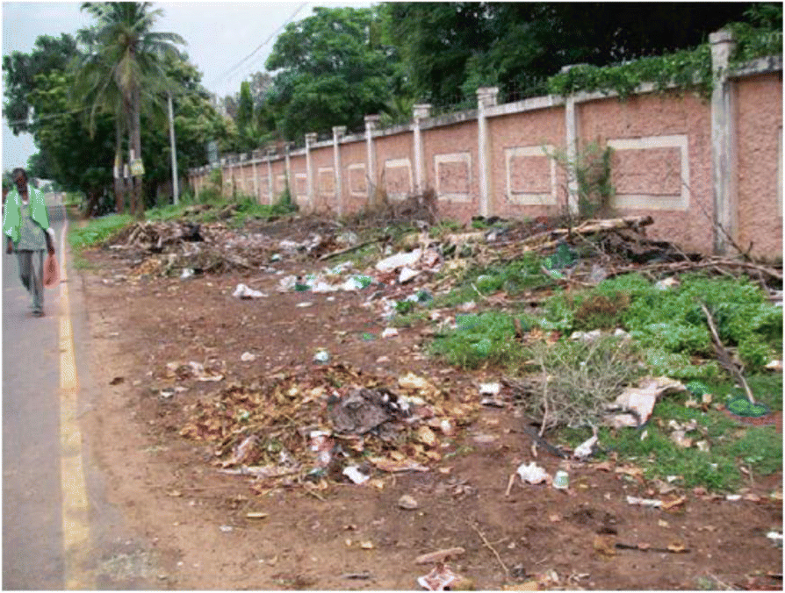 It is common to see solid waste dumped at street corners, roadside and water-bodies even in relatively much cleaner and well-managed cities like Puducherry, India  (Figs. 3 and 4). During the last two decades, there has been exponential growth in another form of solid waste—the electrical and electronic equipment (EEE) waste, or E-waste—which is often dumped along with MSW or sent to MSW landfills [72, 146, 188]. In another 13 years, the world’s MSW output is expected to double from its present 1.3 billion tons to 2.6 billion tons [26, 197]. The quantities of E-waste are also expected to multiply in the coming years [145, 147] which will put much greater stress on the governments and the people who are unable to cleanly dispose of most of even what is being presently generated. It was in the early 1970s that the problem of MSW disposal had begun to look daunting as urbanization began its runaway growth . From then onwards, extensive R&D efforts have been made to find ways and means of gainfully utilizing MSW [6–8, 17, 23, 35, 36, 141, 163, 164]. Till now, these efforts have not fructified in most regions of the world beyond occasional success stories of a village here or a neighborhood there managing to assimilate their MSW within their premises . For example, the extent of MSW that is recycled in Malaysia is a mere 5%  even though Malaysia is regarded as among the most advanced of developing nations. But vigorous efforts are continuing to be made even as the problem is actually increasing in magnitude and complexity rather than getting even partially solved [15, 22, 98, 103, 166, 196]. The focus in recent years has been on generating energy from MSW, besides material recovery [16, 20, 63, 113, 200, 204]. The hope that a ‘clean and sustainable solution to the MSW problem (and the E-waste problem)’ is around the corner continues to be expressed [116, 175, 186]. What are the odds that these hopes will be realized? This paper attempts to answer this question. Urban waste is made up of an assortment of materials, not all of which are reusable, but most are [35, 42, 40, 61, 138, 193]. Due to the very large, and rising, quantities in which urban waste is generated all over the world [42, 47, 96, 101, 136, 164] and the fact that over half of it is biodegradable [2, 149, 150, 163, 191], it is considered as a large reservoir of renewable energy [29, 32, 38, 51, 95]. Indeed as is true for other non-conventional energy sources, the energy that can be, theoretically, derived from MSW is enormous [71, 102, 120, 203, 194]. Also, considering that MSW is not only ‘free’, but entails expenditure in transportation and disposal, any prospect of deriving energy from it appears a great blessing. But, as has almost always been happening with other non-conventional energy sources [2, 8–11] , the picture soon begins to lose its sheen as environmental impacts of different forms and magnitudes begin to show up. Even before any attempt is made to generate energy from MSW, some energy can be indirectly gained from it in the form of usable materials . Material recovery achieves energy saving; for example, production of aluminum is an extremely energy-intensive process, but recycling aluminum requires just one tenth as much energy as producing it from bauxite [144, 179]. Recycling of other common metals is also believed to cost much less energy than their ab initio production (Table 1). For precious metals like silver and gold contained in waste computers, material recovery is even more energy-saving . These attributes always make material recovery an enchanting prospect. But, on the ground, the prospect is hardly put to practice. The main reason is that the revenues generated from waste recyclables are not able to offset the cost of collecting, sorting and transporting of waste . What appears profitable on paper when seen out of context of hidden costs ceases to be so when actually attempted. A good deal of valuables are being illegally recovered from E-waste by informal, unscientific, and labour-intensive recycling methods in developing countries, but it is leading to such gross pollution of the environment and is posing such grave risk of serious diseases that the cost of it all will, in the long run, likely to be several times higher than the short-term material gains [45, 75, 146, 174, 178, 179]. Moreover, the presence of brominated fire retardants (BFRs) in the non-metallic components of E-waste makes the recycling of those components exceedingly difficult . It is pertinent to report that South Korea recycles 58.1% of its MSW , topping the list of the Organization for Economic Cooperation and Development (OECD) countries in this respect. The countries next to South Korea on this count are Germany and Belgium who recycle 47.6% and 33.8% of their MSW, respectively, while the average OECD MSW recycling rate is only 25% . Even this extent of success has been achieved because these countries implement ‘volume-based waste fee’ (VWF) system or charge ‘pay-as-you-throw’ (PYT) fee. In this paradigm, the cost of recycling items like plastic bags are added upfront to their sale prices, and the revenue thus earned is utilized in recycling the same items after they have been discarded. Seen from this perspective, VWF and PYT are effective forms of taxes that are levied on certain items to obtain the cost of recycling those items after they had turn to waste. In this respect, VWF and PYT are similar to the concept of ‘extended producer responsibility’ that is invoked in case of computers and other information technology gadgets in developed countries due to which the cost of recycling is added to the selling price. But whereas these schemes have achieved some success in South Korea and the developed countries, it has not been possible to implement them in India and other developing countries . This is because political compulsions make the governments disinclined to charge what will be perceived as an extra tax. There are also difficulties in the implementation of such measures because even most of the environmental protection laws have been subject to more breech than compliance [1, 12]. Interestingly the state of New Jersey in the USA, which was the first state to make recycling mandatory (in 1987) and which led other states in terms of recycling the highest fraction of MSW (44.5%) for several years thereafter, has fallen back in recent years . This has occurred due to the absence of state or local aid to finance recycling programmes and the drop in the cost of waste removal. Similar situations exist in most parts of India, and indeed, many other regions of the world, which are limiting the utility of recycling as a means of energy conservation in the present-day economic paradigm. For example, Queensland, which is the second largest state in Australia, recycles only about 5% of the waste it produces . In India, rag-pickers eke out a subsistence living by sifting through mounds of waste but at great risk to their health [27, 53, 160]. Quite often, to facilitate picking of metallic scrap, the mounds of waste are set on fire [2, 12, 22, 98]. This is not only a highly eco-degrading and unhygienic practice but achieves only very little recycling at very high environmental costs. If assessment is done of the net energy gains from the recovery of various materials and incentives given to recycling the wastes that are of more value when recycled than incinerated, the situation may change for the better. But, as of now, there is no such move on the horizon. The political and economic viability of such a move, even if it gets made, is low because providing ‘incentives’ indirectly means providing subsidies at taxpayer’s cost. All in all, a state of near saturation seems to have been reached as far as limits to economically reuse MSW is concerned. Whatever little is easily retrievable is retrieved. One can say that new technology may emerge to find more remunerative uses of MSW, but such prospects are dim because several decades of intensive research all over the world has brought forth processes which are technically feasible but too costly to implement. Unless the present benefit-cost equations change in favour of MSW reuse, which are not likely in foreseeable future, there may be no further gains in energy saving through this option—certainly not substantial enough to make a difference. The most prevalent method of generating energy from urban waste continues to be incineration. Incineration has the advantage of greatly diminishing solid waste quantities (up to 70%) and volumes (up to 90%) for landfill and killing pathogens [41, 203]. Depending on their location, incineration plants may also reduce the distance that municipal wastes have to be hauled. But these advantages are offset by emissions of carbon oxides, sulfur oxides, particulates, heavy metals and other pollutants from the incinerators. For each tonne of MSW that is incinerated, 15–40 kg of hazardous waste is produced, requiring further treatment [83, 85, 96, 114, 118, 139, 195]. Particular attention has been focused on the emissions of dioxins and furans [43, 44, 112, 130, 205, 206], which are more toxic and costlier to control than other pollutants. Indeed, waste incineration is regarded as one of the greatest contributors to the release of dioxins into the environment [126, 207]. As is true for any and every form of pollution, it is, theoretically, possible to control the pollution generated by incinerators as well. Some of the economically developed countries have been able to achieve relatively ‘clean’ incineration of MSW by implementing very rigorous pollution control measures, typified by Austria [73, 148, 196, 197]. But in practice, it gets more and more expensive to do so for every incremental improvement in the level of treatment. As the volumes of waste to be handled increase, the number of players managing the incinerators increases, profit margins shrink and departures from ‘best practice’ become more and more frequent [106, 114, 119, 196]. In developing countries like India, implementation of pollution control regulations is far from rigorous [1, 9, 12, 158, 160]. It is not uncommon to find companies which install pollution control systems with incinerators (to get the mandatory licence) but then save upon costs of operation and maintenance by not operating such systems properly—often not at all. Elsewhere in the world, too, polluters tend to save the cost of pollution control in one unethical way or the other . We have before us the example of E-waste. By introducing legislation based on ‘extended producer responsibility’ (EPR) paradigm, which in turn follows the principle of life-cycle-based environmental management, the European Union and other developed countries have made E-waste disposal cleaner than it was [145, 146]. But this has also made the disposal much more expensive than it was. The result is that huge volumes of E-waste from these countries are illegally exported to China, India, Africa and other developing countries where they grossly toxify the environment [145, 146]. In a way, EPR has prompted developed countries to ‘sweep some of their dirt’ to the backyards of other countries. On their part, developing countries are well aware of the problem but are unable to contain it because, to the crafty middlemen and the impoverished multitudes who, together, sustain the illegal trade and recycling of E-waste, the immediate economic gains are too compelling to worry about long-term environmental losses . Incineration leads to emissions of metals like mercury  and organics like dioxins [18, 84, 109, 166] which are highly toxic. They not only put the people living in the vicinity of incinerators to great risk [28, 110] but also cause dispersion of these pollutants far and wide . Elevated levels of these pollutants and their adverse effect on human health are being reported with increasing frequency [107, 112, 156, 162, 189, 208]. Incineration is also known to increase the lability of toxic metals which, otherwise, would have remained contained in polymeric matrices. In this manner, incineration can actually enhance the damage potential of some of the MSW even as it reduces its quantity [86, 146]. Concern has been mounting over the disposal of the ash residues from incinerators, more so because the content of toxic elements—cadmium, mercury, arsenic and others—in MSW is increasing due to the contribution from discarded E-waste, batteries, lighting fixtures and other sources [68, 112, 193, 206]. Ecotoxicological studies on leachates obtained from ashes produced by urban waste incinerators in EU countries have prompted calls for more stringent regulations for ashes disposal and use . At some quarters, biosolid combustion is still spoken of as a ‘green energy source’ [165, 192, 202] and ‘beneficial to environment’ , but the broader consensus is that even as incineration does not always produce more energy than it utilizes, it almost always does prove to be a major environmental stressor. Every single effort of the government in India to set up MSW incineration plants—often euphemistically called waste-to-energy plants—is being met with stiff opposition from the people [27, 129].On the one hand, such plants are a source of enormous pollution and, on the other hand, generate energy which is about twice as costly as the energy available from the grid, even after budgeting for the clean development mechanism (CDM) credits. It is no wonder, then, that the three waste-to-energy plants that were set up near three major MSW dump sites in Delhi are almost idle . Elsewhere, the waste-to-energy plants that have been set up by the Indian government in partnership with private players have been heavily subsidized—none is commercially viable . Worse still, once incinerators have been installed, the compulsion to utilize their capacity to the full can (and does) result in a tendency to increase the waste stream through the curtailment of recycling, a situation wherein, effectively, more energy is wasted than is produced. It can be said that widespread reliance on incineration as a solid waste management option may turn out to be ‘a remedy worse than the disease’. As per the information currently projected by the United Nations Statistics Division , which is based on the data pertaining to 2009 provided by 52 of the developing countries, these countries were generating 368 million tonnes of MSW. But the list does not include some of the world’s largest countries—India, Brazil, Indonesia, Malaysia, etc.—and can be at best considered broadly indicative. 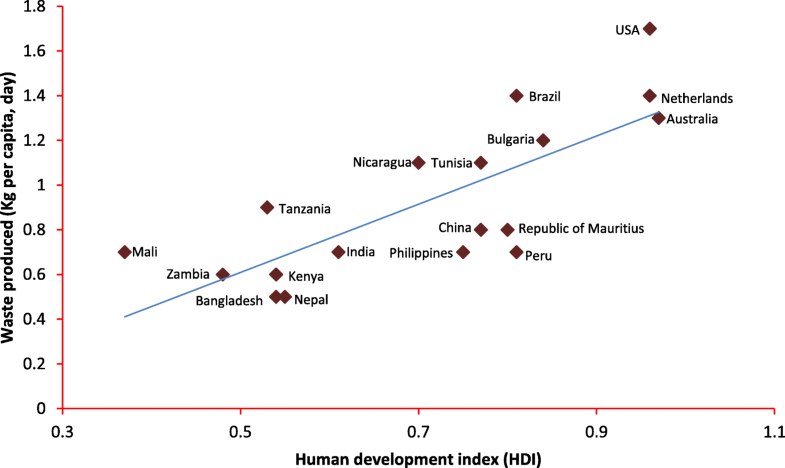 As per this data, about three fourths of all the MSW is ‘landfilled’ in developing countries. But except in China, where about half the MSW is put in sanitary landfills, most of the MSW in other developing countries—including India which is among the most technologically advanced of developing countries—is just dumped on public (government-owned) land [70, 158, 181, 198]. It is erroneously called ‘landfilling’ because no compacting, sealing, leachate collection or methane capture is exercised [22, 27, 51, 70, 98, 157, 198]. Even in Delhi—which is the capital of India and from where most of the scientific and technological research in India is coordinated—the MSW is simply piled up on land. The biggest of such dump sites, at Bhalaswa, has by now risen to a height of 55 m, with no possibility of it being closed from further dumping in the foreseeable future. This fact has made the Supreme Court of India sarcastically remark that the landfill site ‘will one day touch the height of Qutub Minar and red beacon light will have to be used to ward off the aircraft’ . Ever so often these mountain-size piles tend to collapse under their own weight. The most recent such collapse, at the Ghazipur dump site, killed two people . With India now producing over 55 million metric tonnes of MSW per year of which a mere 22% is treated and disposed of , the heights of the waste dumps are only going to increase across India. The toppling of such dumps can spell disaster—at least 39 people died, 11 houses destroyed and sewage was dammed by waste when a MSW dump toppled in Istanbul in 1993 . Similar collapses of MSW mounds in Quezon City, Philippines, in 2000 and in Bandung, Indonesia, in 2005 resulted in 278 and 147 confirmed deaths, respectively. Among developed countries, Canada, the USA, Ireland, Portugal, Iceland, Australia, New Zealand, Israel, Qatar and Spain send more than 50% of their MSW to landfills, closely followed by Italy (49.2%), the UK (49.1%) and Finland (46.1%). The USA, which has the highest per capita MSW generation in the world, adds to about 205 million metric tonnes of MSW per annum and sends 63% of it to landfills . These figures indicate that the reliance of the world on sanitary landfills is not only very high; it is likely to increase in the future as India and other developing countries may try to move from waste dumps to sanitary landfills [22, 98, 157]. Hence, despite the by now well-documented problems of foul-smelling and toxic gas emissions, water and soil pollution caused by the leachate, explosion and fire hazards, and contribution to global warming, [82, 97] landfills will continue to be used widely for urban waste disposal for want of a better option [14, 24, 48, 62, 107, 115, 132]. No other solid waste management technology can handle substances of such varied characteristics as sanitary landfills can nor is any other technology as inexpensive, for each tonne of assorted waste handled, as sanitary landfills. Indeed, for many countries like India, who are hard put to bear the costs of even sanitary landfills, the possibility of using more expensive ‘cleaner’ technologies of MSW management is very remote. In a landfill, the compacted waste initially undergoes aerobic decomposition [43, 74, 123], but the oxygen is soon depleted and anaerobic degradation sets in [4, 124]. The resulting emissions typically contain about 55% methane (CH4) and about 45% carbon dioxide (CO2). Both are global warming gases, of which the former has, molecule to molecule, 25 times more global warming potential (GWP) than the latter . By some estimates, CH4 has 34 times greater GWP than CO2 . Several measurements at simulated lab-scale landfills and also at full-scale existing landfills have indicated that landfills may also be emitting nitrous oxide (N2O). Given that N2O has 300 times greater GWP than CO2, this is a possibility of great concern . But of equally serious concern are the emissions of highly toxic inorganics and organic compounds that occur in the landfill gas (LFG), of which several are also ozone-depleting substaces [83, 86]. These include mercury vapour [199, 171], highly toxic per- and polyfluoroalkyl substances , other toxic volatile organics  and malodorous hydrogen sulfide and mercaptans [55, 100]. Dioxins have also been recorded among the LFG emissions [111, 155]; their levels shoot up to several thousand times higher if some part of the landfill contents happens to catch fire [60, 130]. It has also been found that brominated flame retardants—which are common in landfills—can undergo photolytic degradation on the landfill surface to generate dioxin-like compounds [167, 168]. But if the toxic and odorous LFG is aesthetically offensive and hazardous to plants and animals, it pales into insignificance in comparison to the lethal cocktail of chemicals that a typical landfill leachate is. Thick with toxic levels of metals and metalloids, harmful organics including dioxins and pathogenic microorganisms, the leachates play havoc with the soil, water and biota which come in their contact [69, 78, 89, 109]. Even small quantities of landfill leachate are capable of causing serious damage to surface and groundwater receptors . In recent years, a new class of pollutants has entered landfill leachates—engineered nanomaterials . In what manner and to what extent they can harm biota is largely unknown. Whereas sanitary landfills have been monitored for the quality of their LFG and leachate, no such assessment exists of the emissions that come from the mountains of garbage which are rising in India and elsewhere due to the dumping of MSW. Ever so often fires break out in these piles due to the emitting methane getting auto-ignited. Equally often, rag-pickers set the MSW on fire to make picking of metallic components easy. In peri-urban areas and villages where there is no organized MSW collection, it is common for the inhabitants to heap up the strewn MSW and set it on fire. In all such instances, copious amounts of dioxin and other toxic gases must be getting released, but of which no account exists. There are a few reports on toxic emissions but only with reference to E-waste dumps . In the like manner, the leachate coming out of the waste dumps must be severely polluting the soil and water, but there is no documentation of it, let alone any measures to combat it being in place [12, 27, 134]. About 0.35 Nm3 of landfill gas (LFG)—also called ‘biogas’—is generated per kilogram of solid waste, representing a substantial source of energy. For long, the cost of recovering, cleaning and using LFG had worked out higher than the cost of equivalent amounts of fossil fuel energy except at a few locations. Due to this, the LFG was either simply allowed to escape or was flared off [2, 184]. But in recent years, LFG has been recognized as a major contributor to the global GHG emissions—for example, it is estimated to contribute as much as 12% of the global methane emissions [184, 185]. This has prompted efforts to capture and use LFG as a fuel [122, 183, 184, 186]. This route still leads to CO2 emissions, but the GWP of LFG gets substantially lowered due to the conversion of methane into the much lesser global warming CO2 . As of now, there are 632 operational LFG energy projects in the USA , in which methane from 26% of the landfills in the USA is being captured for energy recovery. The utilization of LFG in Germany and elsewhere in Western Europe is even better [57, 135, 153, 154]. The European Union has passed regulations to enforce effective management of LFG [135, 201], and developing countries are also trying to catch-up [17, 19, 100, 104, 200, 204]. But the fact remains that under the best of circumstances, not more than 90% of LFG can be captured; the success rate in this respect is generally closer to 60%, and very substantial quantities of methane continue to escape. For example, despite vigorous implementation of LFG capture programmes in Germany which reduced GHG emissions to approximately two thirds, as much as 60,000 to 135,000 t CO2 equivalent of LFG is still being emitted annually [81, 153]. Secondly, the duration up to which a landfill emits biogas at a rate adequately high for recovery at bearable costs is 7 to 10 years [88, 126, 190]. Subsequently, the gas flux dwindles to make recovery prohibitively uneconomical even as the gas continues to emerge for several decades thereafter. Thus, after a landfill has attained a certain age its biogas emissions become too lean to make capture practicable yet are significant enough to contribute to global warming and other forms of pollution. Attempts such as in situ aeration to shift the waste degradation process from anaerobic to aerobic—so that it generates CO2 instead of methane [79, 153]—are being made. But they will only add to the cost of the landfill maintenance. Much of what happens in a conventional sanitary landfill cannot be controlled or doctored because a conventional sanitary landfill is essentially alternative layers of soil and MSW which have been compacted. This realization had led to the concept of ‘bioreactor landfills’, which was introduced in the late 1970s [80, 143]. The concept envisages to turn conventional sanitary landfills into rigorously controlled ‘bioreactors’. For example if the MSW can be pre-processed in terms of separating the non-biodegradables, then shredding the biodegradable part, and if the leachate is recirculated—after some pre-treatment— it may enhance the rate of biodegradation occurring in the landfill. This can, in turn, make the landfill more space-efficient and ‘clean’. Provision can also be made for steps such as ozonation of stabilized waste. To achieve all these, appropriate controls of temperature, moisture, pH and nutrients—factors which most strongly effect the rate of biodegradation in a landfill—can be put in place. During the last two decades, substantial efforts have been invested in developing the bioreactor landfill technology [13, 30, 65, 66, 80, 81, 87, 80, 91–93, 118, 140, 153, 152, 172, 196]. But very few full-scale landfill bioreactors are currently in operation, of which none exists in any developing country [12, 80, 81, 170]. The reasons are not hard to see; every step to turn a conventional landfill into a bioreactor requires capital and recurring expenditure. The more controlled—hence efficient—a bioreactor landfill is, the costlier will be its commissioning and operation. When a large part of the world is unable to afford even conventional sanitary landfills, there is a little possibility that it will be able to set up bioreactor landfills. Independent of the bioreactor concept, extensive research is also being done on the treatment of landfill leachate [34, 77, 117, 133, 161, 198]. But in this case, too, better the extent of treatment, higher is the cost. As a result, much of the leachate is either not treated at all—as in India [27, 134]—or is given only ‘affordable’ treatment which leaves much of its toxicity unaddressed. The constraint in leachate treatment—as it indeed is in most problems of pollution control being faced by the world—is not the technology but the costs . 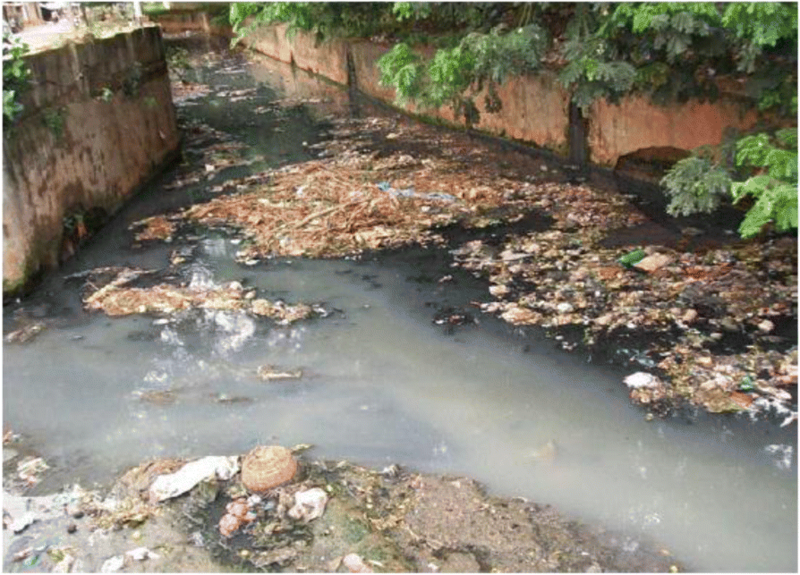 There are also risks associated with the failure of landfill liners/covers and leachate dams. In one instance, this type of failure, which occurred at Quezon City, Philippines, in 2000 led to as many as 278 confirmed deaths, besides over 80 people missing who were presumed dead [31, 121]. Considering that there are also risks of fire, explosion and pollution [105, 125], the gain of energy recovery from landfills can at best be viewed as ‘achieving some good from a bad bargain’. It may reduce GHG emissions linked to urban waste disposal but will not eliminate them. Moreover, if the quantities of urban waste generation continue to rise, especially in the economically advancing countries as is reflected clearly in the trends [2, 26], the advantage would soon be offset by the additional emissions. Given this context, the hope expressed by some authors that ‘sustainable’ bio-plastic can be produced using landfill-derived methane [46, 201] or ‘renewable energy assets’ can be developed by harvesting solar energy falling on landfills  appears rather unrealistic. In Europe alone, an estimated 5.25 billion tonnes of MSW has been landfilled between 1995 and 2015, of which plastic is estimated to have contributed over a billion tonnes . Possibilities of excavating and recycling this plastic have been assessed and found unattractive because of the high level of ash, heavy metals and other impurities now embedded in it . Another route by which energy can be generated from MSW is by anaerobic digestion (AD) of some of its biodegradable component. Efforts are being made to bring in larger fractions of MSW within the preview of AD, enhance the AD process efficiency and improve its presently negative energy balance [2, 25, 50, 52, 56, 71, 126, 151, 169, 177]. Anaerobic digestion has been a hugely successful option for treating liquid wastes carrying high chemical oxygen demand (COD) [2, 172] and animal manure . Compared to aerobic processes, anaerobic processes need less energy to operate. They also generate energy in the form of methane-rich biogas, and it is possible to run anaerobic digesters in a manner that they become ‘energy positive’—in other words, yield more energy than they consume [33, 71]. But serious operational problems are encountered when MSW or other biodegradable solid waste (such as leaf litter, weeds, vegetable and fruit peels, food waste) is to be processed by anaerobic digestion [7, 64, 67]. Feeding such a waste and ensuring its digestion and the movement of the digested product out of the reactor are all besieged with problems because, unlike liquid waste which can be easily homogenated and which moves through reactors easily, solid waste creates major difficulties in mass transport . This necessitates a lot of pre-processing, pre-treatment and also post-digestion processing which all add to the cost of the system [2, 152, 178]. Because anaerobic digesters are enclosed systems, they allow all of the biogas to be collected, unlike the landfill biogas of which only 30–40% is usually captured, if at all. Even at the best of times, a maximum of 60% of landfill biogas is retrievable. An end product that can be used as a soil conditioner is produced. By mixing the refuse with animal dung, the system efficiency can be improved, allowing for a more simple process design, thereby improving the economic viability of the system. This is due to the better C:N ratio that is achieved if MSW is mixed with dung. By diverting easily digestible organic waste material to anaerobic digesters instead of sending it to landfills, better overall methane capture is possible as also reduction of gaseous and liquid emissions from landfills. The nature of organic waste in MSW may vary according to location and time of the year. In post-harvest seasons, for example, levels of crop waste, leaf litter, etc. may be higher. This may lead to a variation in the C/N ratio and affect the rate of gas production. Inadequate mixing of refuse and sewage can affect the efficiency of the anaerobic digestion system. Blockage of pipes can be caused if large pieces of waste enter the system. This problem is particularly common in continuous systems. Table 2 lists the problems and the difficulties that they cause. Hence, widespread use of anaerobic digestion for large-scale treatment of MSW is a very remote possibility. Even if the process is made less costly than it is today, the possibility of it becoming a net energy producer is still very remote. The efficiency of H2S reduction cannot be estimated properly resulting in oversized or undersized installations. From the time some four decades ago when the MSW problem started becoming serious due to the increasing MSW generation across the world, efforts have been made by researchers, governments, industry and voluntary organizations to address this problem. There has been a particularly strong emphasis from the outset on recovery, reuse and recycling. The expectation has been that these measures, together, may offset the monetary and environmental costs of MSW management. Particularly strong efforts have been made to develop technologies for the recovery of energy from MSW by direct use as fuel (incineration) or by converting MSW into gaseous or liquid fuels via landfilling, anaerobic digestion and other bioprocesses. The state-of-the-art reveals that the generation of MSW has consistently outpaced the world’s efforts to dispose it cleanly. It has become evident again and again that energy (and material) recovery from MSW is easier said than done. In most instances, what is technically feasible is economically unfeasible. And what is economically feasible—such as setting the waste on fire as is often done in developing countries—is exceedingly harmful to the environment and the human health. Measures such as sanitary landfilling and incineration create as many new problems as the old ones they solve. Moreover, despite the use of these less-than-adequate technologies, a major portion of MSW generated in the world lies untreated. As the MSW output is expected to double by 2025, this situation is only set to become worse. Rising tides of a new solid waste stream that has begun to swell from the late 1990s onwards—E-waste—are threatening to compound the problem even further. Yet another new complication is emerging ─ of nanomaterials entering MSW. Hence, enormous stress should be put on the reduction of MSW generation by controlling wanton consumerism and wastage, rather than continuing with it in the false hope that technology will soon provide a magical solution and eliminate the problem. SAA thanks the Council of Scientific and Industrial Research (CSIR), New Delhi, for the Emeritus Scientist position (21(1034)/16/EMR-II). The work has not been based on any funding or other forms of support received from any source by the author. There were no living systems, including human subjects, used in this study. The information presented here does not contain any individual person’s data. Chidambarampadmavathy K, Karthikeyan OP, Heimann K (2017) Sustainable bio-plastic production through landfill methane recycling. Renew. Sustain. Energy Rev. 71 555–562. https://doi.org/10.1016/j.rser.2016.12.08. EUROSTAT. (2010). WEEE collection rate <https://ec.europa.eu/eurostat/>. Accessed Oct 2012. MNRE—Ministry of New and Renewable Energy. Govt. of India. Annual Report 2010–11. 2011. http://www.mnre.gov.in/. Accessed 19 May 2011. WI (Solid Waste Management in the World’s Institute), 2012. Global municipal solid waste continues to grow. http://www.worldwatch.org/global-municipal-solid-waste-continues-grow-0.